This post is sponsored by Petmate® and the BlogPaws® Pet Influencer Network™. I am being compensated to help create awareness about the Jackson Galaxy™ Cat Toy line available at PetSmart® but we only share information we feel is relevant to our readers. Petmate® is not responsible for the content of this article. It is a cat’s natural instinct to stalk and hunt prey. 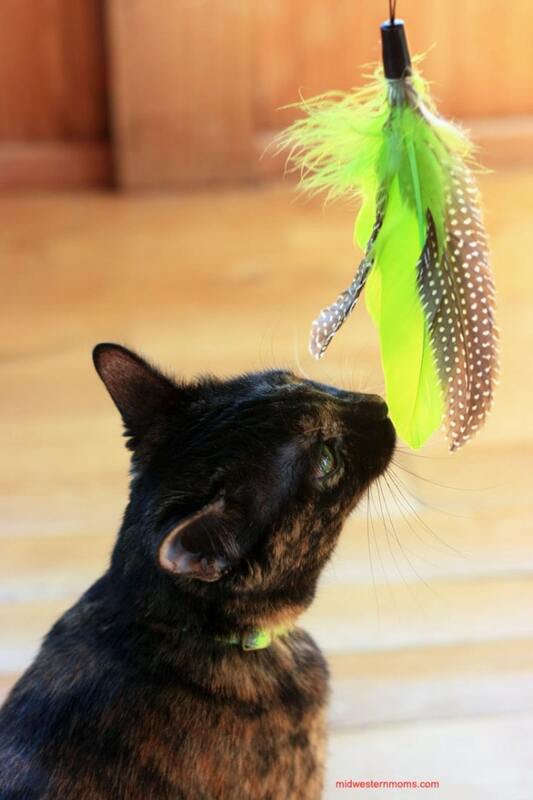 You can bet that Miss Kitty was excited to see some new toys show up from Jackson Galaxy™ and Petmate® that allows her to stalk and hunt. The Vault Marinater Cat Toy – This is a great way to infuse Cat toys with Catnip. Miss Kitty couldn’t wait for me to unpack her toys. She took over my photo session by checking out her new toys. While she inspected, I got a feeling of what her favorite toy would be. So, I opened up the Air Prey Wand first. After checking out the toy, it was on. The Air Prey Wand is her favorite toy out of the ones she received. According to Jackson Galaxy, she is a cat who prefers air prey. Guess the would explain the window stalking of the birds outside. The Air Prey Wand comes with a laser as well. This, of course, is another favorite. Just because the Air Prey Wand is her favorite, doesn’t mean she doesn’t play with the other toys. She enjoys a nice kicking session with the Mixed Twisted Refillable Kicker. I love how the Kicker has a pouch that you can add fresh Jackson Galaxy Organic Catnip to keep kitty interested in the toy. Miss Kitty even enjoys batting around the Ground Prey Snake. As you can see, all the toys from Jackson Galaxy are geared towards cat’s natural instincts. 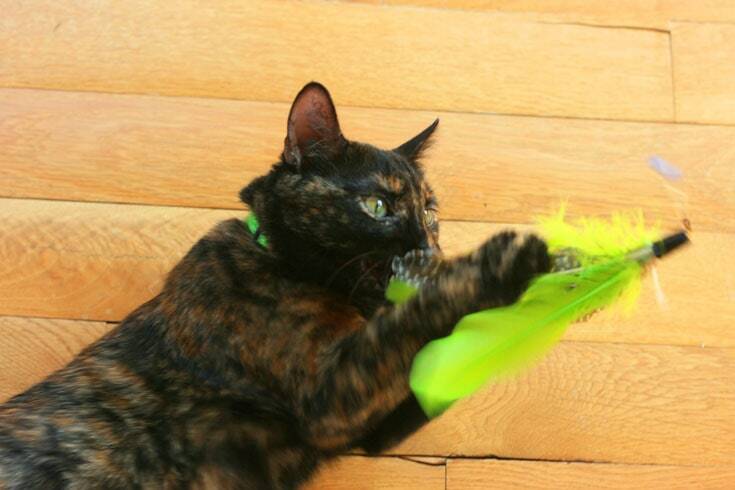 That is why Miss Kitty loves her new toys and I am sure your cat will love them too! 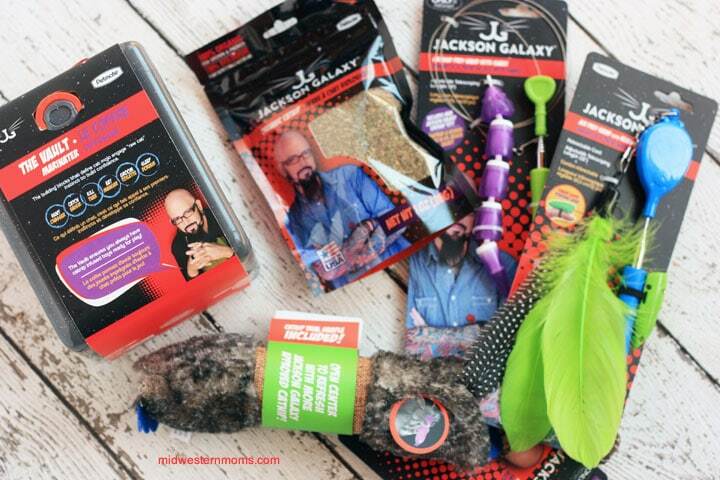 All of these great Jackson Galaxy Toys are available Petsmart. My poor cat never gets anything fun. She is always overshadowed by the toddler and 2 big dogs in our house! She would love this fun stuff! I think the tunnel would be her favorite. She love’s my son’s tunnel! The comfy cocoon, my kitty would love it!! She always hiding under everything. Including my laundry!! My cats are so different. Molly would love the Laser and Eugene the Air Prey! My 3 rescue purr babies would LOVE some new toys!! I Love Jackson! Watch every new MCFH that comes on, have learned SO MUCH! Thank-you! 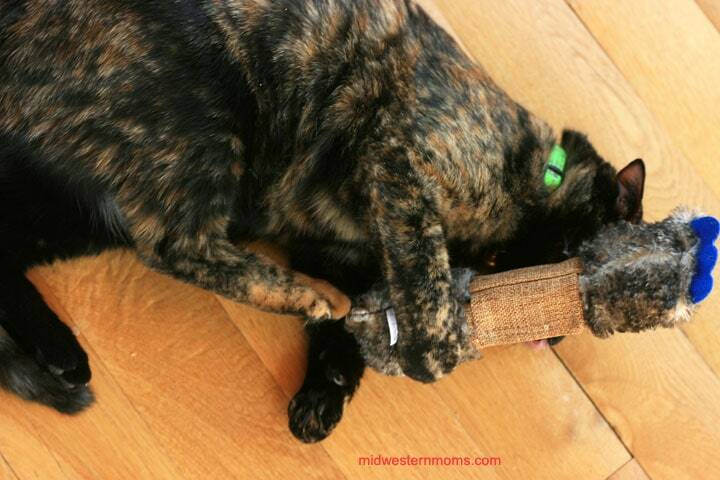 My cat would enjoy the Jackson Galaxy® Mixed Twisted Refillable Kicker Cat Toy. My cat would enjoy Jackson Galaxy™ The Vault Marinater Cat Toy – Catnip. My cat would definitely like the crawl tunnel. She’d go nuts running in and out of it and hiding in it. He would like the tunnel – I like that it is see through and I think he’d like it too. 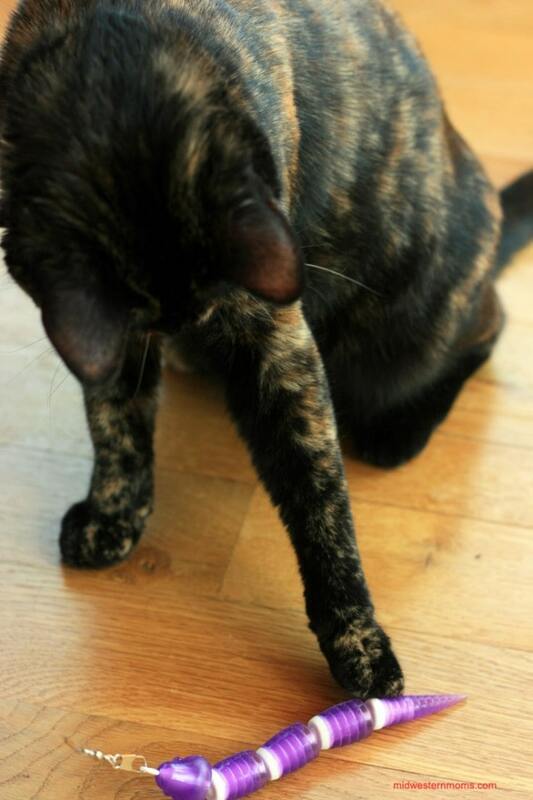 I think my kitty would love the Air Prey & Laser Teaser Cat Toy! My cats would like the Space Station cat toy. 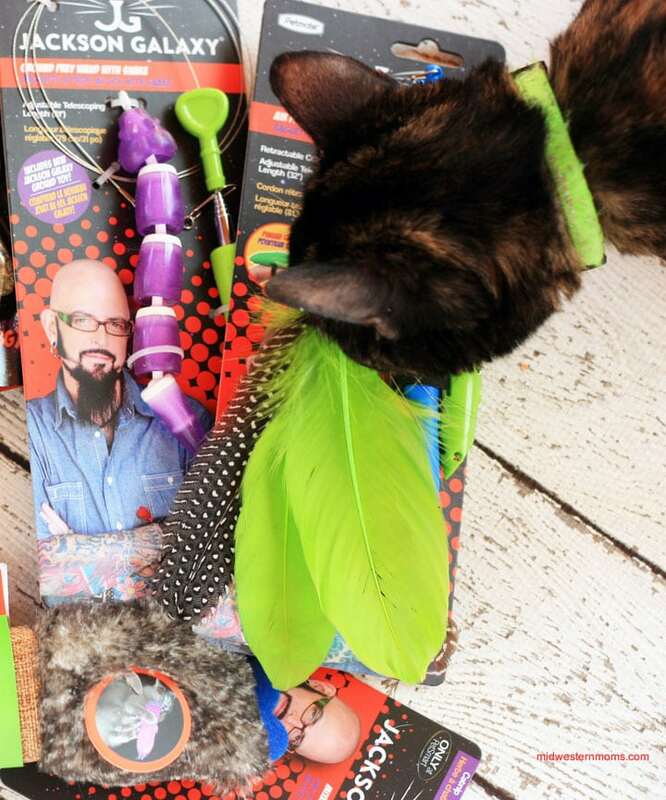 My cats would love Jackson Galaxy™ Sprial Swat & Scratch Cat Toy. I think my girl would enjoy the sheer tunnel the most. She can pretend to be invisible but still stalk the birds outside the patio doors. I think he’d enjoy the Space Station toy. It looks really engaging. My cats would love the Space Station and the tunnel. They love tracker type toys best, and tunnels are always great for a good game of chase. All 3 would enjoy the crawl tunnel. They would have hours and hours of fun chasing each other through it! My cats would enjoy the Jackson Galaxy Ground Prey Teaser Cat Toy. Thanks for the giveaway! My kitties woudl LOVE that comfy cocoon!! My Desiree would love the Air Prey Wand. My two cats would love theJackson Galaxy Air Prey Wand Cat Toy.